If you haven't been keeping up with me on other social media, you might not be aware that we are moving to Houston, Texas in a few weeks. We are so excited about a new city and being closer to friends and family. Jason and I both are "city people" so it will be fun to explore all the city fun Houston has to offer. If you are interested in more details, read about it here on our family blog. 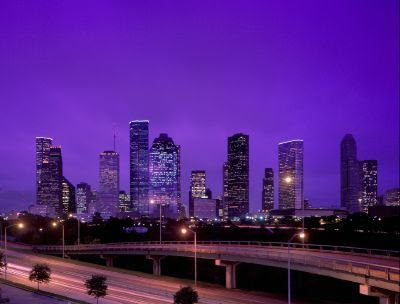 Oh, and thanks to google images for the pic of downtown Houston. I haven't had a chance to take my own yet! Houston is a nice place to live! i came across your blog on the web! i couldnt believe it was yours. so sorry to hear bout the bells syndrome. i thought ur pics looked great. you are always beautiful! you look great,and so does your family! Nicole, I just looked on your blog to see sweet Henry and read your birth story and then I just got pulled in and kept on reading! :) Girl, you live in Houston!?!? Dan and I live in The Woodlands! We moved here last May for Dan's job. I would loooove to get together with you after life settles down with your newest addition.